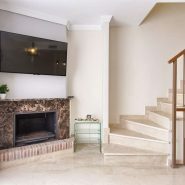 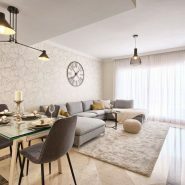 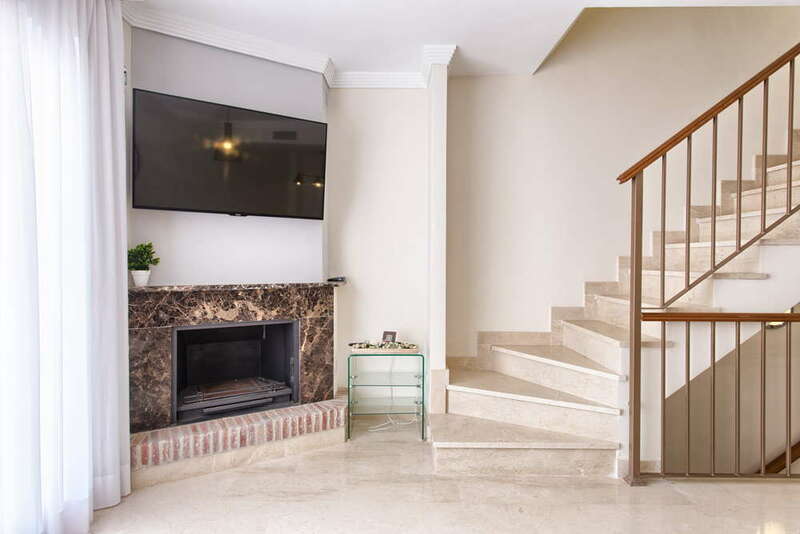 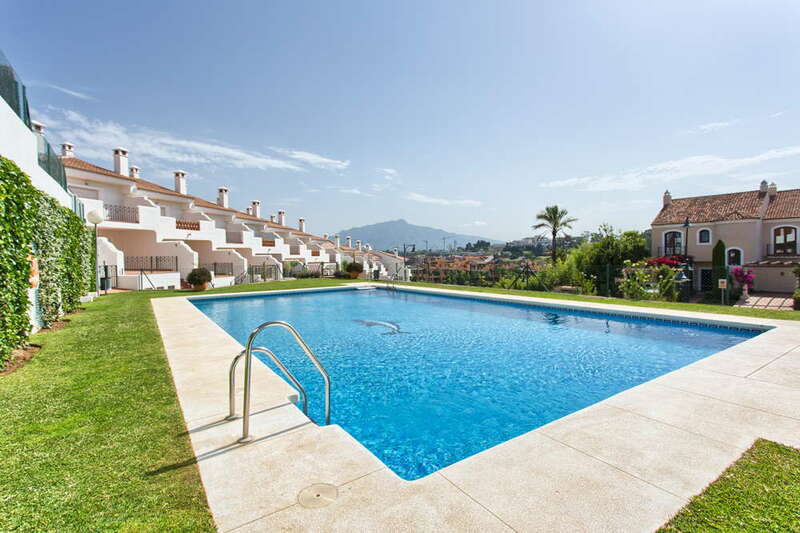 This 3 level townhouse is situated within El Paraiso Estepona in a complex of 26 townhouses offering a large community swimming pool and mature gardens. 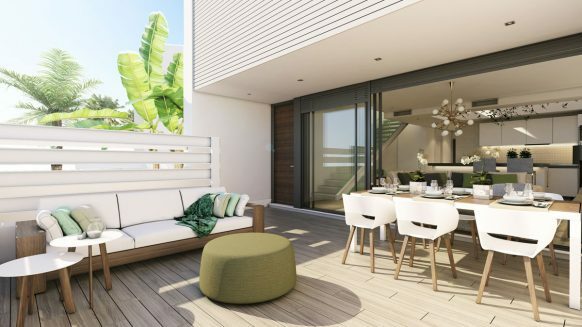 The main floor comprises a spacious living and dining room with access to a sunny terrace with nice views, a fully fitted kitchen and a guest toilet. 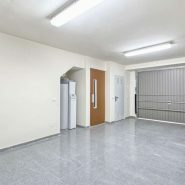 This townhouse has a lift that connect all floors from the garage to the top floor. 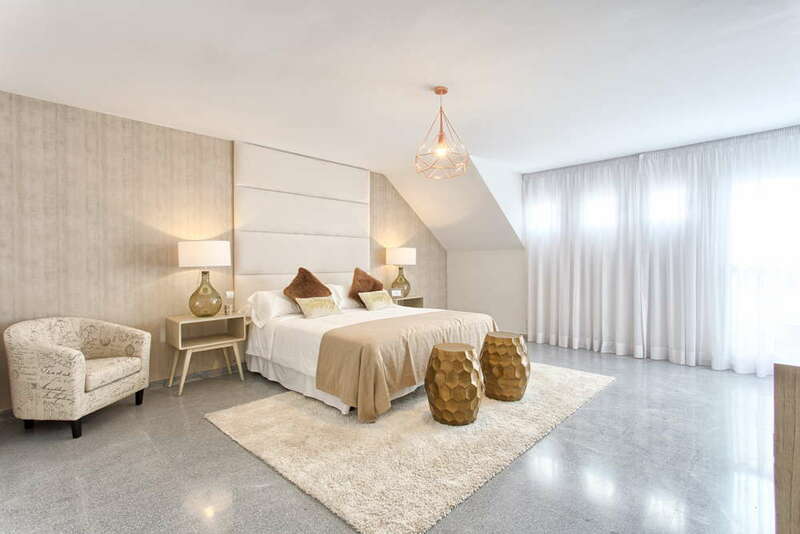 On the top floor is the large master bedroom with private en suite bathroom with whirlpool and private terrace. 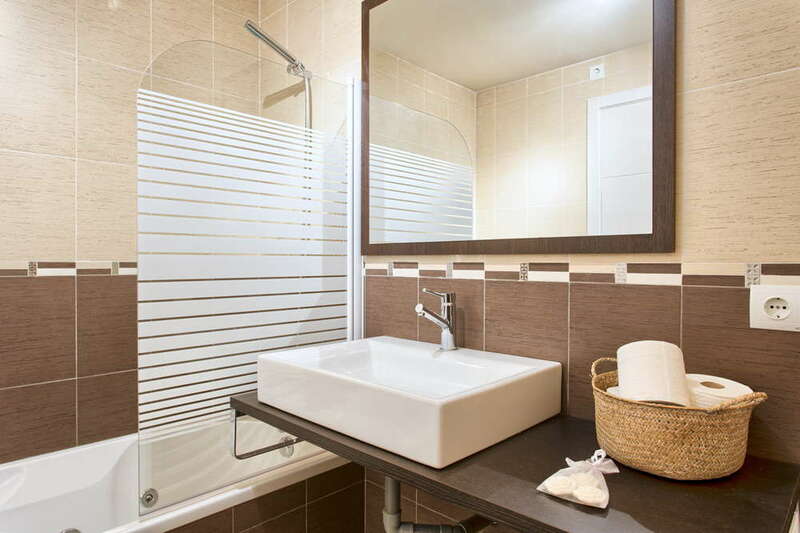 A further double bedroom with en-suite bathroom is also on this floor. 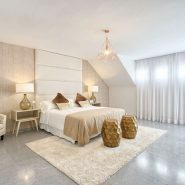 The lower level floor offers a large private garage, a third bedroom with en-suite bathroom and an room which can be converted into a games room. 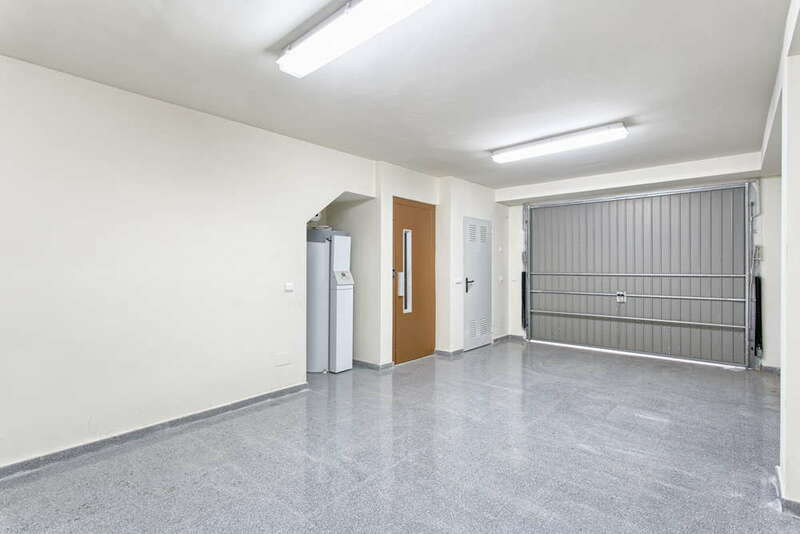 The property has air conditioning and solar panels. 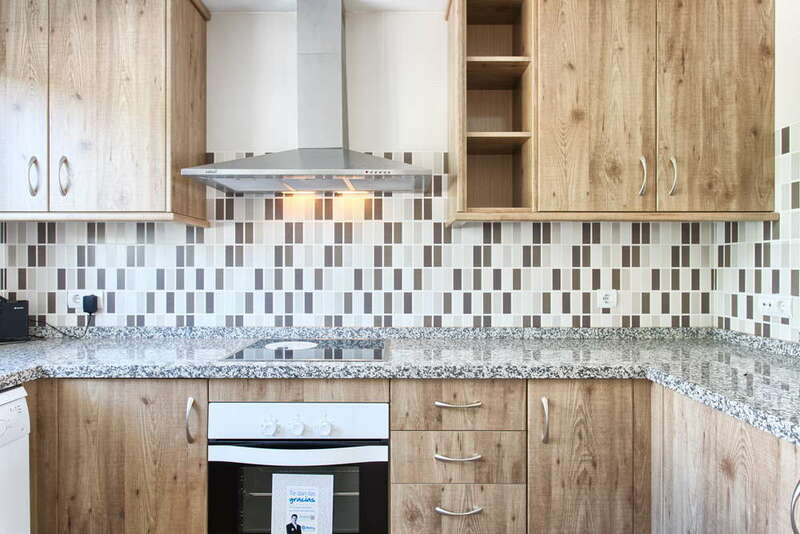 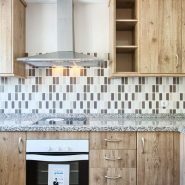 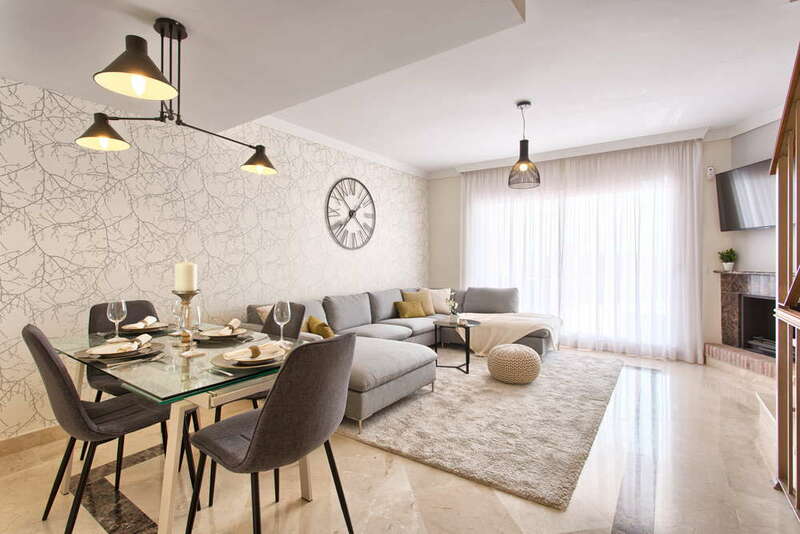 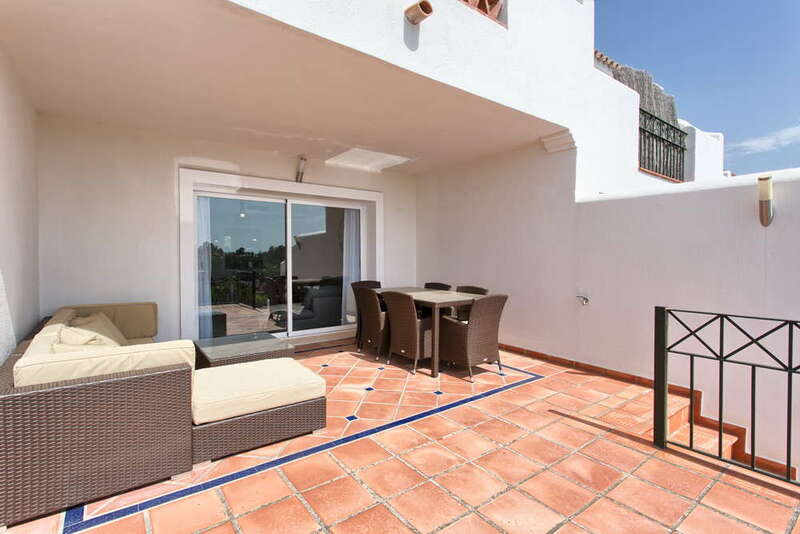 The location of this townhouse is perfect, in El Paraiso an established residential area. 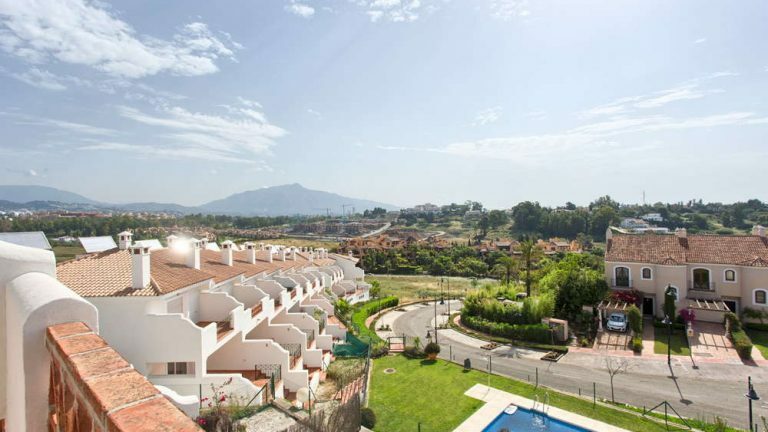 There are two golf courses and several restaurants within easy walking distance. 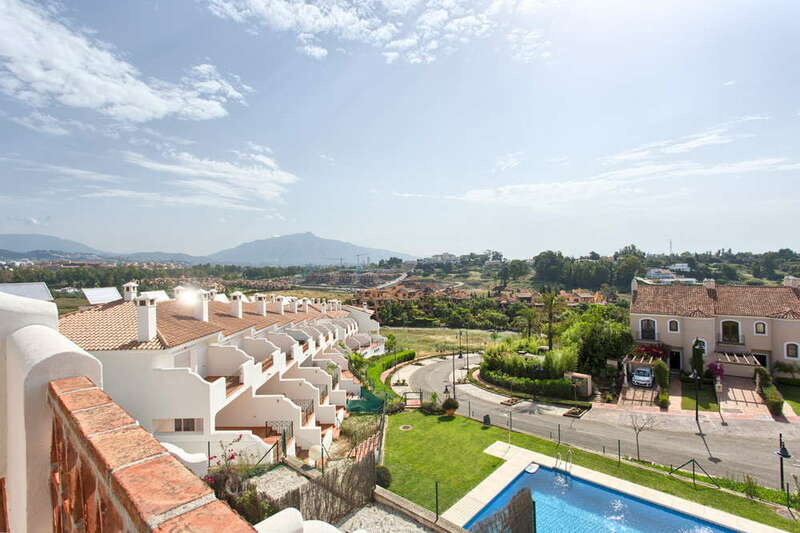 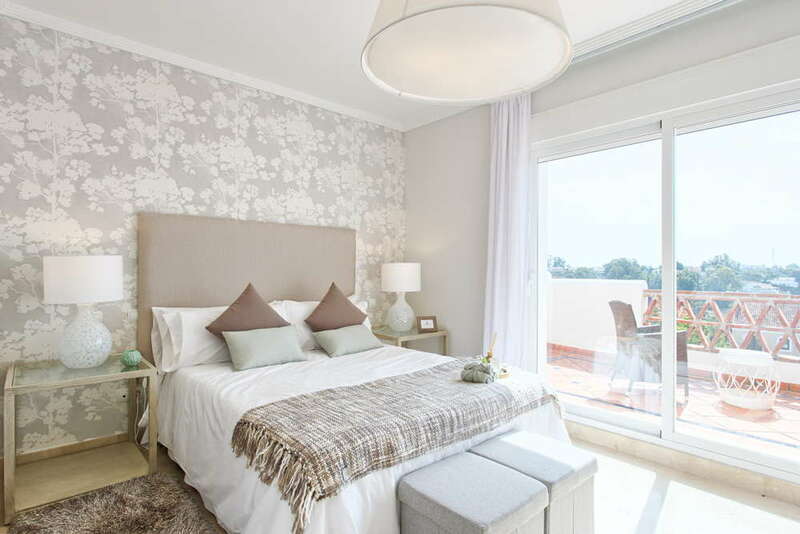 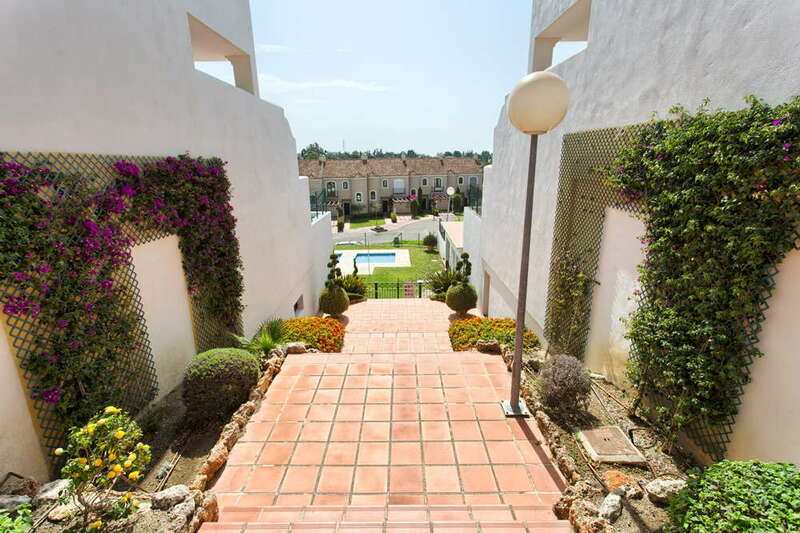 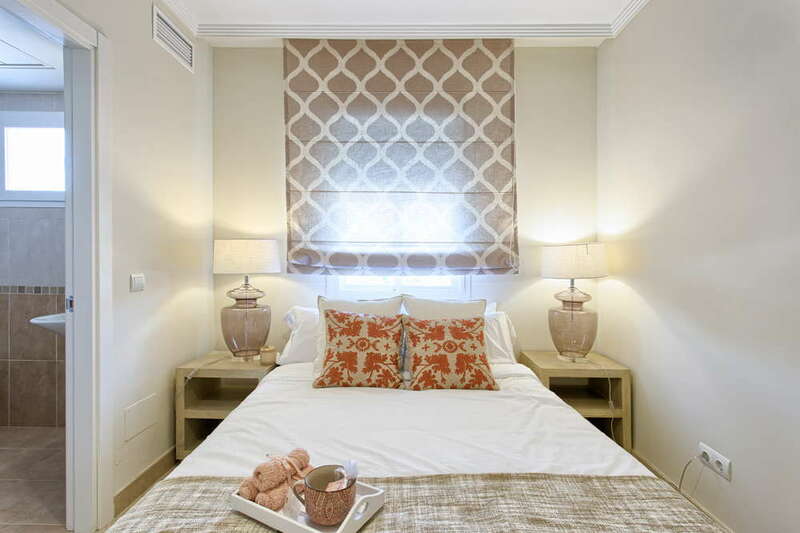 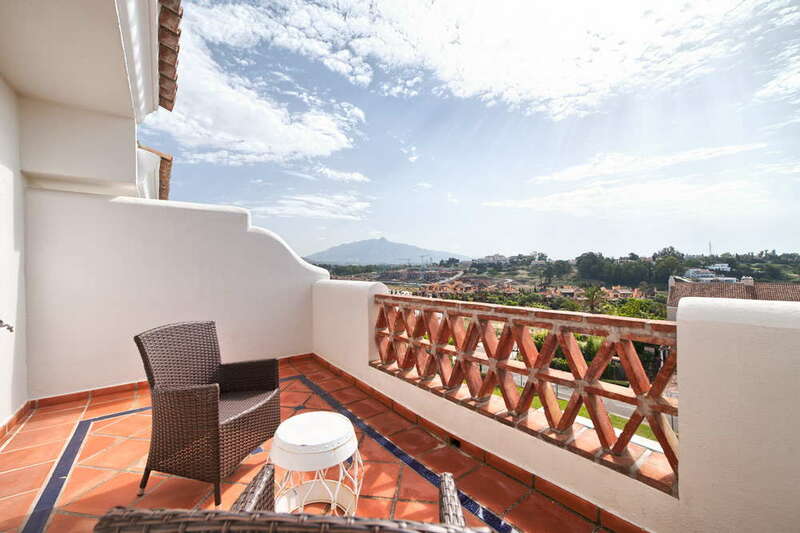 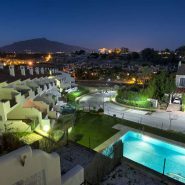 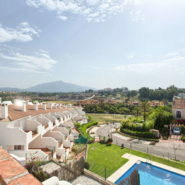 Close to amenities, the beach and a short drive to the centres of Marbella and Estepona. 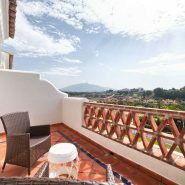 At a short drive into the mountains is Benahavis a white washed village famous for its restaurants and fine dining as it is called the kitchen of the Costa del sol. 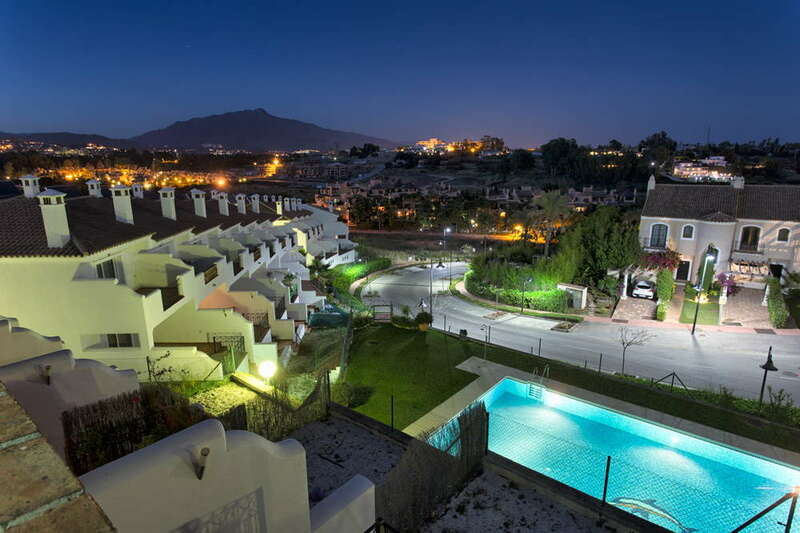 International airports Malaga and Gibraltar are approximately a 40 minute drive from El Paraiso. 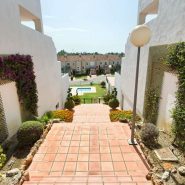 If you would you like to receive the floorplans of this townhouse or like to pay a visit yourself please contact us we are happy help.